The title says it all. A look back on what was new and different in the year that is nearly done, including links throughout, so if you missed something earlier this year and want to hear the whole story, be sure to check out those posts! 1. 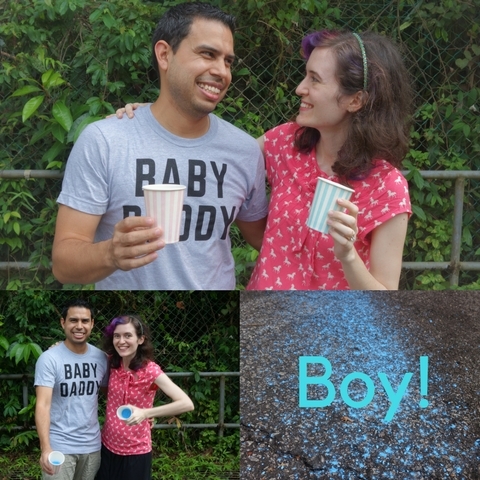 Experienced the 2nd trimester of pregnancy and the beginning of the 3rd and all associated things--feel the baby move, find out if baby is a boy or a girl, see his cute face and hands and feet in an ultrasound, have people squeal in glee over the size of my rapidly-expanding belly, have the opportunity to buy a crib. All things I am so very, very grateful for! 2. Go to California. A totally new state for me! Associated with this is meeting a lot of Angel's family I'd never met before, and going to Joshua Tree National Park, Disneyland, and Hollywood for the first time. 3. 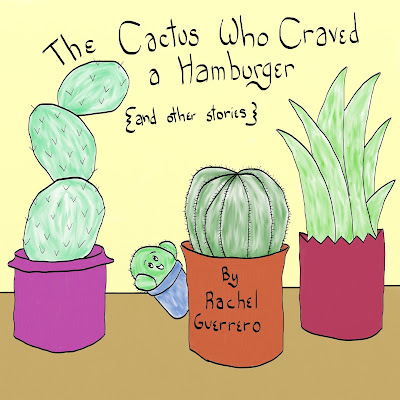 Published an illustrated children's book. 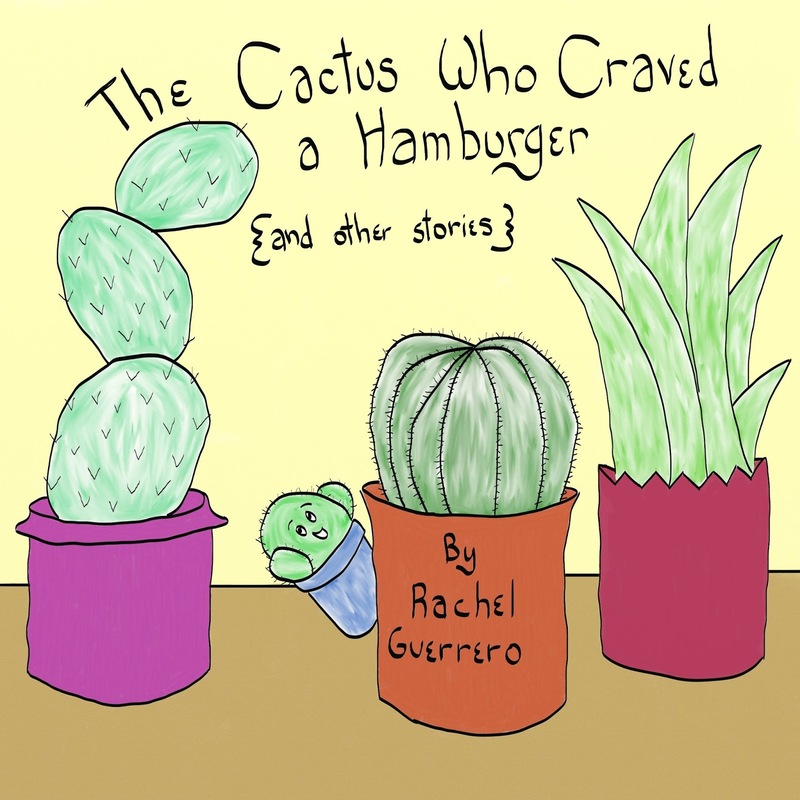 The Cactus Who Craved a Hamburger. Available for sale on Amazon, but although I've sold over 100 copies (woohoo! Met my initial sales goal!) I still have no reviews. If you did buy the book on Amazon and if you're feeling generous, would you mind, pretty please, leaving this newbie author a review for Christmas? 4. Sewed with knit fabric. The mermaid-inspired halter dress I made for little Sarah's birthday party was adapted from a much-too-large-for-her stretchy knit skirt. I've always been scared of sewing with knits for some reason but this was a good first venture into the world of sewing with stretchy fabrics. 5. Purchased and broke a laptop within the same year. I've actually only owned three laptops in my life. One purchased before college in 2008. The one I'm typing on was purchased when Angel was about to start his Master's in 2012. And then, this summer I bought a Lenovo Yoga to replace my unreliable and very slow 5-year-old laptop...only to have the screen crack into pieces when I closed the laptop like a normal person less than six months later. Tears ensued. After a nearly two-month hassle, I think there is hope for getting the computer back into my home, repaired...in January. I'll tell you the end of the story when I know it. 6. Hosted a virtual bridal shower that involved a real-life party. Gotta love the wonders of technology! 7. 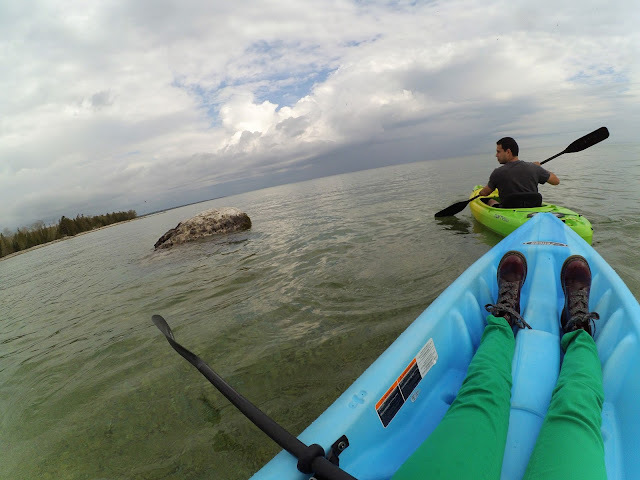 Went to Bois Blanc Island with Angel and no one else. I've been going to that island whenever I've had the opportunity for nearly as long as I can remember, but always with a big group of family--parents, grandparents, and aunts and uncles. For the first time ever, it was just the two of us, and I learned that I don't know my way around as well as I ought, but the island is still just as magical as ever. 8. Ran in a race. Now there's something I surely thought I'd never do! But I completed a 10k in February! Angel won 1st place, but that sort of thing is not new to 2017. I like that in the above photo, I'm wearing a shirt from one of Angel's half-marathons, which would make me look like a legit runner, except for the khaki shorts paired with it. 9. Read the entire Bible in a year. 10. Stayed in a hotel just half an hour from home AND ate a breakfast composed almost entirely of fruit dipped in a chocolate fountain. Possibly not the most impressive achievement, but for some reason a chocolate fountain breakfast made quite the impression on me this year. First saw this theme for an end-of-year-post on Finding Ithaka last year and thought it was an awesome way to recap the year's interesting events! What's something new you did this year? I love this! I saw it on Finding Ithak also and thought it was such a neat idea, but I can't think of anything new I've done other than have a baby boy! Which, granted is a huge thing, but still! I feel like 2017 wasn't very exciting for me as far as doing new things, but it was a huge year for us regardless! Can't wait to see your family grow in 2018 :) Merry Christmas! Oh my goodness, this was a monumental year for you! 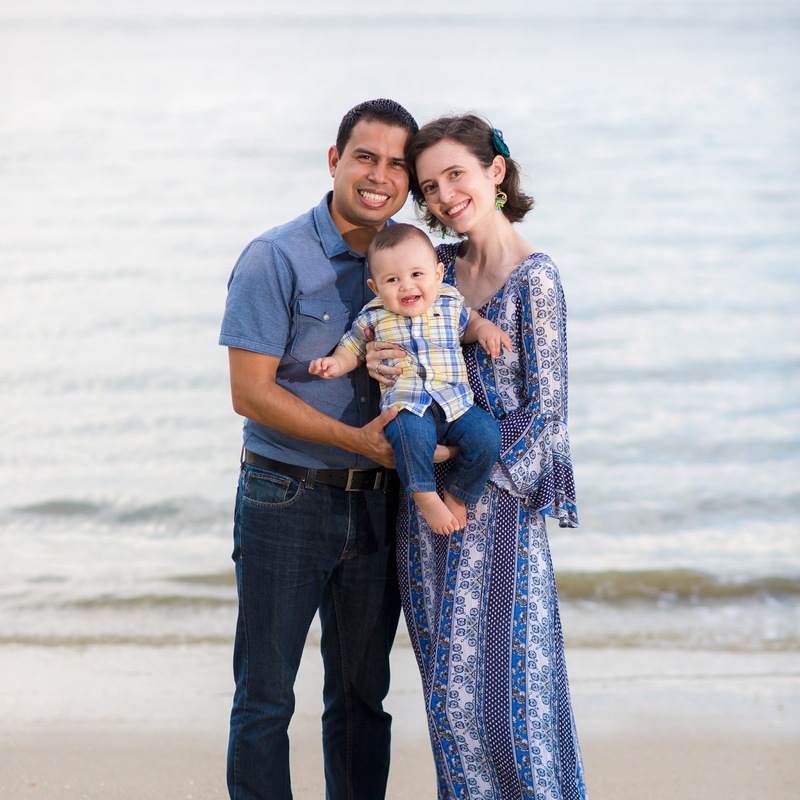 Growing a human, running a race, publishing a book - now I feel sort of unproductive. I did become an aunt this year for the first time, but obviously I had nothing to do with that, so I can't really claim it as my own accomplishment. :) I did start blogging again...does that count? A chocolate fountain breakfast sounds amazing (except that I have to be careful with chocolate since I can't eat anything made with plain milk). What a wonderful year! Here is to another wonderful year for you and your growing family!